As you may have heard, Andrew Scheer has unveiled his shadow cabinet. 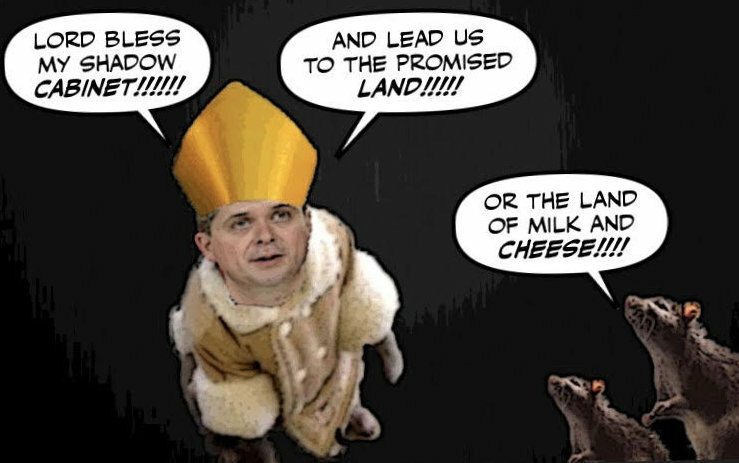 And although I didn't expect much, since it was cobbled together from the ratty remains of the Harper regime. The ones who survived the great cleansing, the ones who are still going after the cheese. I have to admit that this Con shadow cabinet, or collection of "shadow ministers" as Scheer likes to call them, has exceeded my expectations. Because it couldn't be more mediocre. Or more monstrous. Or like Scheer himself, more sinister or more shadowy. It was supposed to be an opportunity for Donald Trump to check out the damage caused by hurricane Harvey, and offer support to its many victims. For it was a disaster from beginning to end. So, Once Again, Is It OK to Punch a Nazi? Two days ago a small group of anti-fascists or antifa attacked a larger crowd of right-wing demonstrators in Berkeley, California. And triggered that old question again: is it OK to punch a Nazi? And now Martin Patriquin, after seeing that and what happened in Quebec City recently. 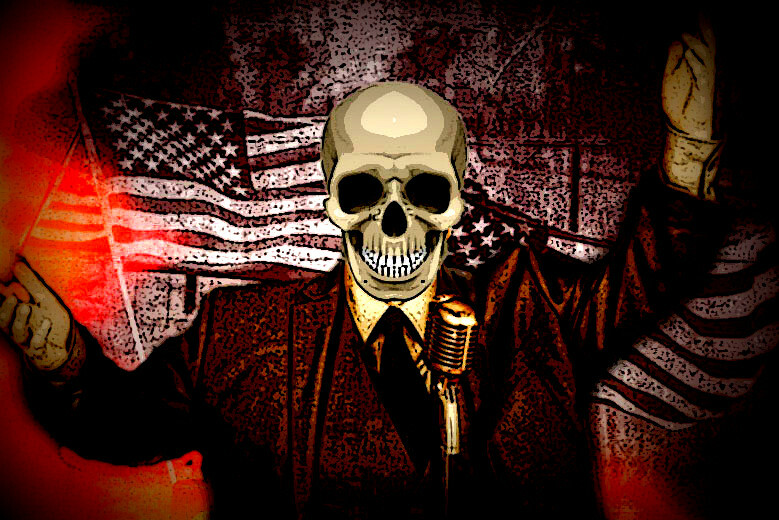 When I was in university I used to bore and no doubt depress my friends, by frequently and confidently predicting that fascism was coming to America. And that it would be wrapped in the flag and carrying a cross, as Sinclair Lewis said it would in his 1935 novel It Can't Happen Here. Until I found out that Lewis never said that. And then when I survived the Bush regime, unlike about a million others. And religious fanatics like Jerry Falwell hit the ground hit the ground with a sickening thud, that was music to my ears, I began to think I was lucky, and that we were safe eh? But of course, as we all know, we weren't lucky, and now nobody is safe. As we all know, Andrew Scheer has vowed not to grant more interviews to Ezra Levant's hate mongering Rebel until it changes its "editorial direction." But after having spent so much time with the Rebel, and after having one of Levant's flunkies run his Con leadership campaign, severing the ties that bind isn't easy. 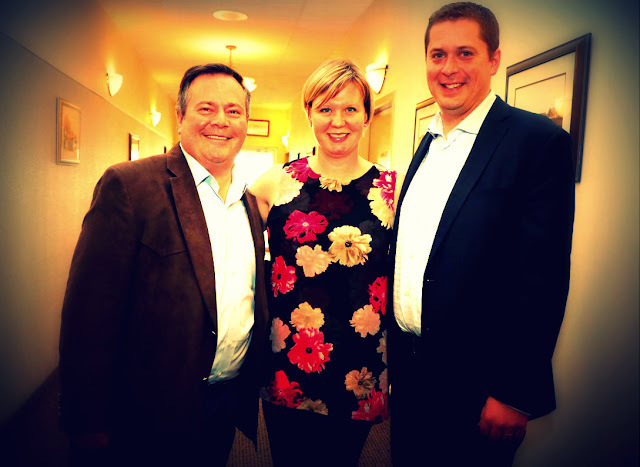 So one moment he's Mr Positive, or Mr Cheery Scheery, whooping it up with Jason Kenney. The next moment he's Mr Darkness. It's hard to find a pattern in anything Donald Trump does. He's here, he's there, he's everywhere, he's out of his mind, he's making it up as he goes along. But ever since that Nazi party in Charlottesville, a clear pattern is emerging, and it couldn't be more disturbing. Trump has always been loud and vulgar, a bigot and a bully. 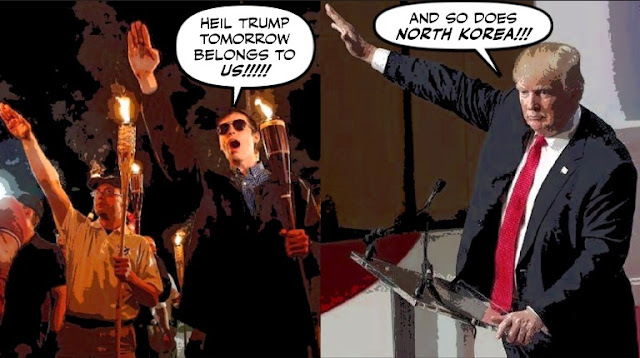 But now he is going full fascist. 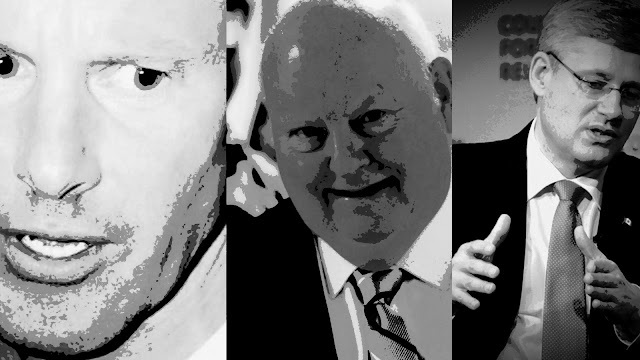 I know the Mike Duffy trial seems like ancient history now, and I can hardly remember the details of the case. Except that the wrong man was put on trial. 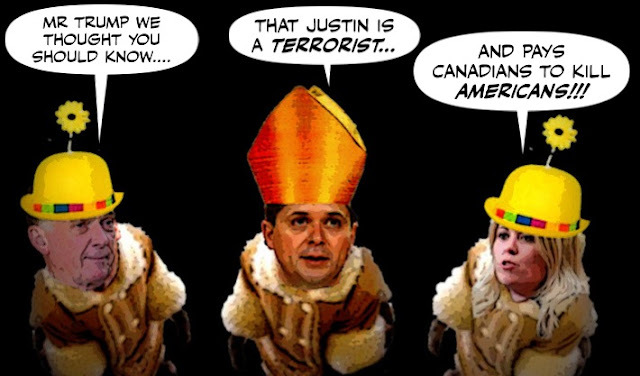 The Harper PMO, and its morally depraved leader, were able to elude the long withered arm of the law. And although Duffy won, he also lost, and almost had to be carried out feet first. But despite my disappointment that Boss Harper wasn't jailed, I almost never doubted that Ol' Duff would rise again. 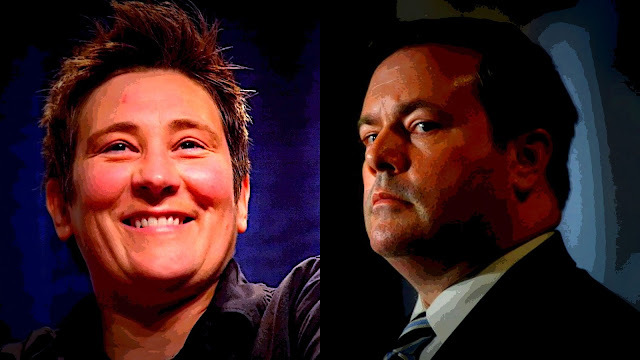 Well I can't say I'm surprised that Jason Kenney has turned down an invitation to attend Calgary's Pride parade. Even though the invitation came from an Albertan with way more fans than he does. Not when Kenney has been an anti-gay bigot for as long as I remember. 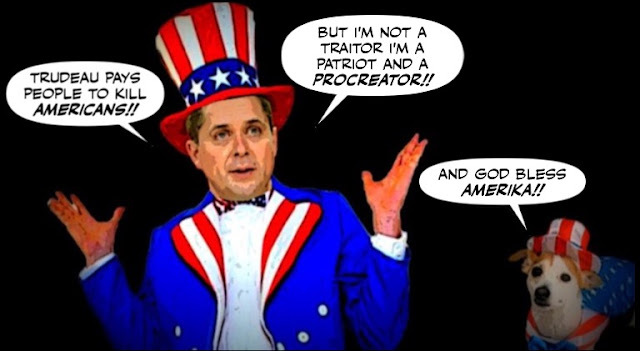 For weeks the creepy Con Andrew Scheer has been tap dancing across Canada trying to convince Canadians that he's really a nice guy. Or as he likes to call himself Mr Positivity. 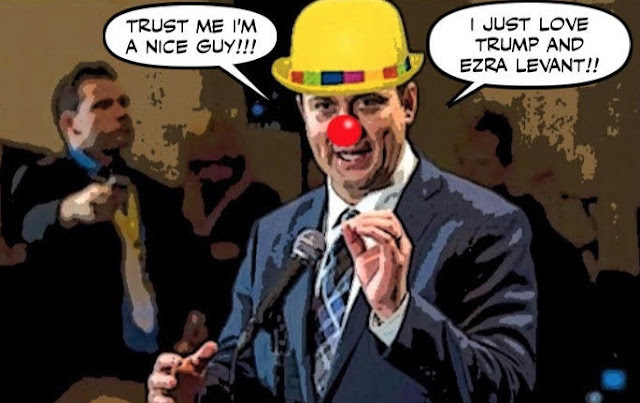 But Scheer's Mr Nice Guy act was always going to be just a shabby show. There is nothing nice or decent about that sinister religious fanatic, and now The Creeper is back to doing what he does best. 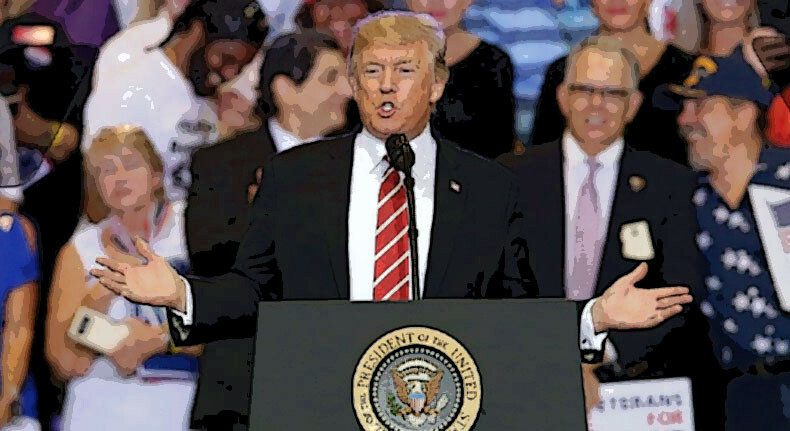 Donald Trump's speech in Phoenix the other night was so deeply disturbing it made many all over the world wonder what could be done, if anything, to keep him away from the nuclear codes. So we might have a chance of surviving him. But don't tell that to Trump because he's giving that rally a rave review. By running not one, but four short videos on his Twitter site, to make it look like a huge, or yuuuuge success. 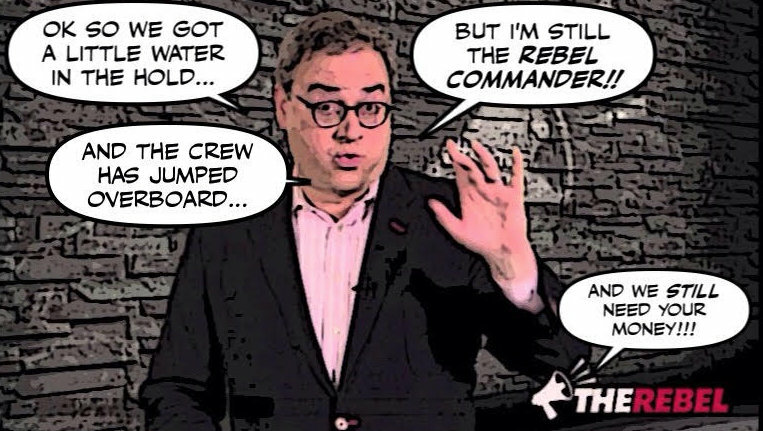 For days even as his ratty Rebel started to take on water, and half his crew abandoned ship, Ezra Levant insisted that everything was under control. But now that ghastly bigot has finally been forced to confront reality. 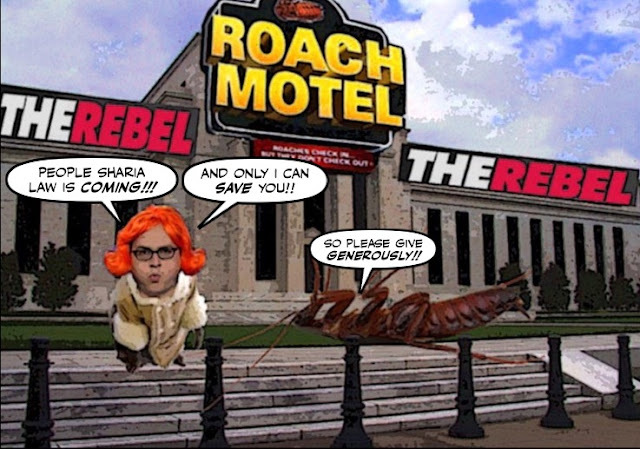 Now he's finally admitting that The Rebel is in deep trouble. 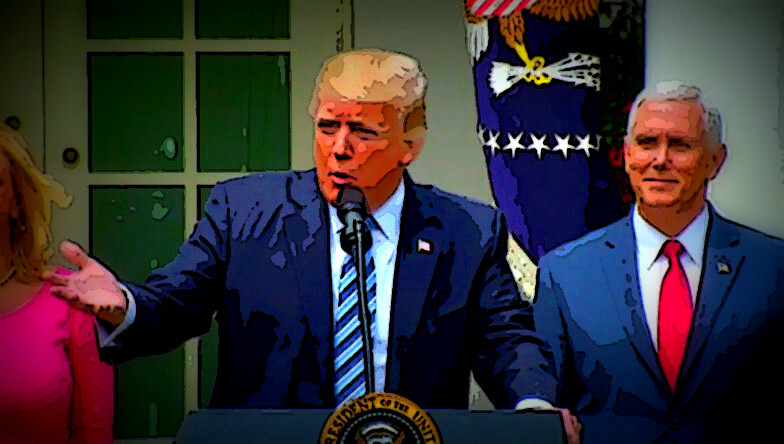 On Monday, after his speech on Afghanistan, some in the media were praising Donald Trump for looking and sounding "presidential." Which I thought was hilarious because I knew it wouldn't last. For if he was Dr Jekyll on Monday, last night in Phoenix he was Mr Hyde. Although I had better things to observe, like that amazing solar eclipse, I thought I'd better watch Donald Trump's address to the nation, in case he declared war on North Korea. 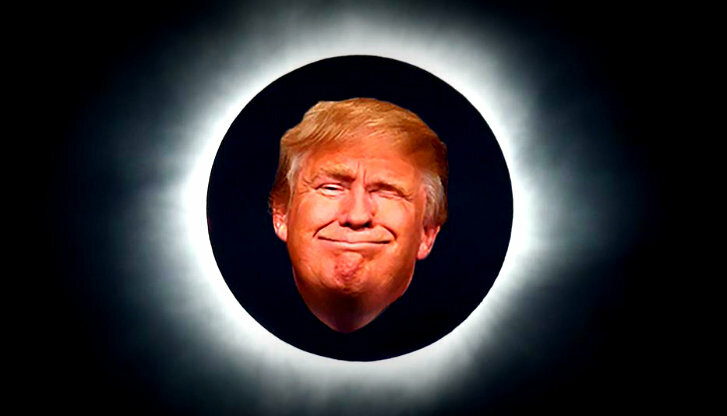 And eclipsed the earth permanently. 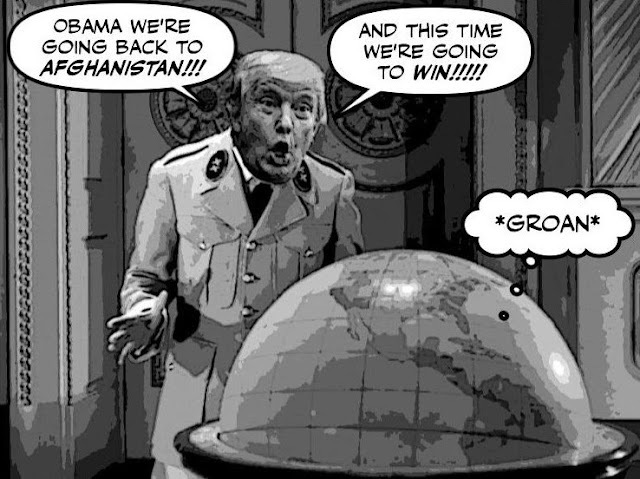 But as it turned out, all he did was declare a little more war on Afghanistan. Which will have little impact on that country, or on the Great War on Terror. But on the bright side, it did cause some in his rabid base to declare war on him. It's hard to believe, how time flies. But Donald Trump's "working vacation" is over and he's heading back to Washington. 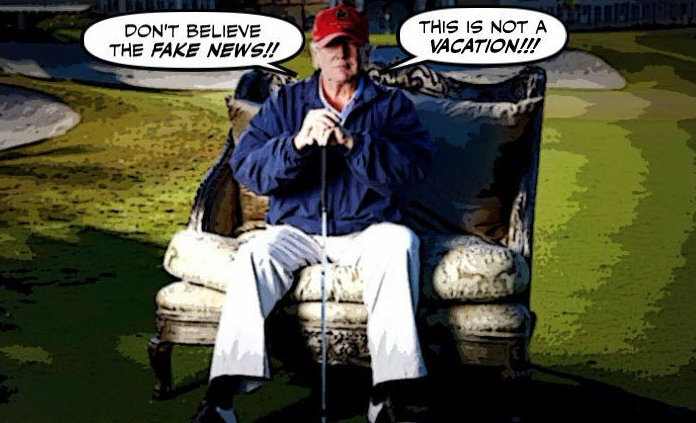 But sadly, although he did little or no work, just played golf, tweeted, and watched a lot of cable TV, his vacation wasn't very relaxing. 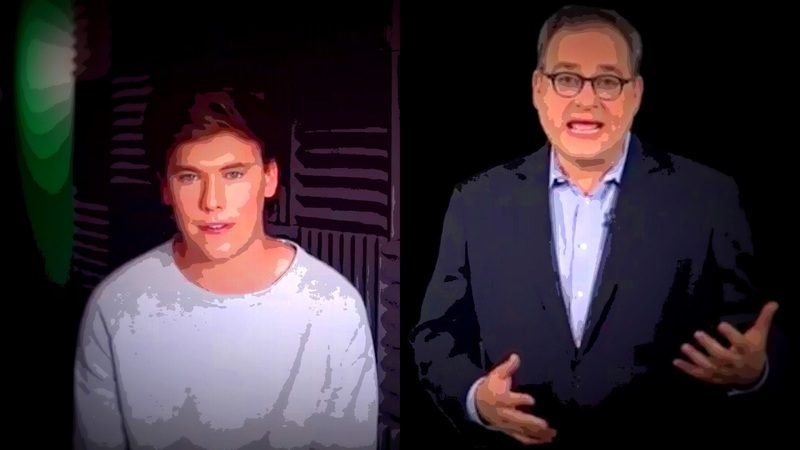 It took him days before he summoned up the courage to say anything about the way Ezra Levant's hate mongering Rebel had disgraced itself, and Canada, with its appalling coverage of that white supremacist rally in Charlottesville. 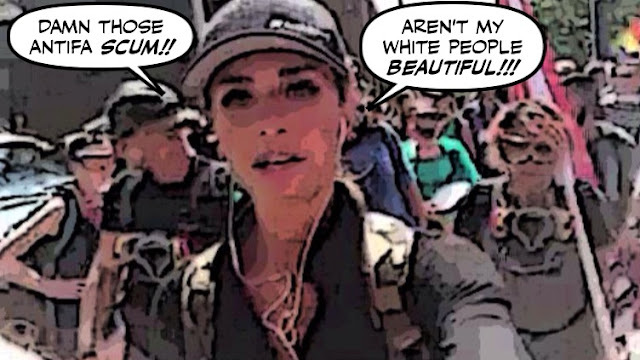 You know, the one where the deplorable bigot Faith Goldy somehow managed to turn an ugly Nazi hootenanny into a bouncy Beach Party. Where the Nazis were the good guys, and those who opposed them were The Enemy. Labels: Andrew Scheer, Con clowns, Ezra Levant, The Death of Con Canada. It's been two days since a young British videographer, Caolan Robertson, revealed he had secretly recorded a meeting with his former boss Ezra Levant. And made some shocking allegations about the way Levant runs the ratty Rebel, and what he does with all the money he collects. Only to have Levant reply by claiming he had been blackmailed. I told you what my initial impressions of both videos were here. But now you can make up your own minds. She was Ezra Levant's pet and Andrew Scheer's favourite Rebel journalist talking head. And for good reason. She's a religious fanatic like Scheer, she calls him "our people," she once demanded that the Pope excommunicate Justin Trudeau. And she's called for Christians to mount a new crusade to take back the Middle East from the Muslims. 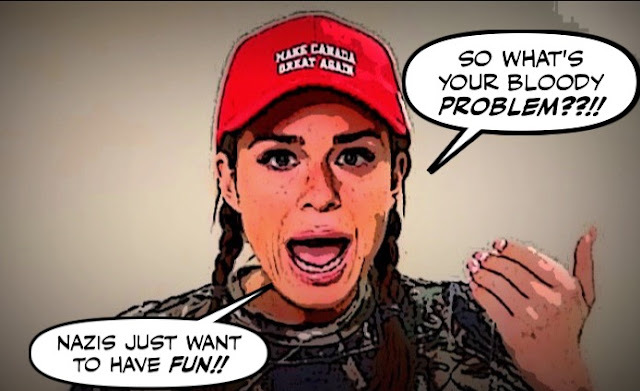 But yesterday evening, not even divine intervention could save Faith Goldy. 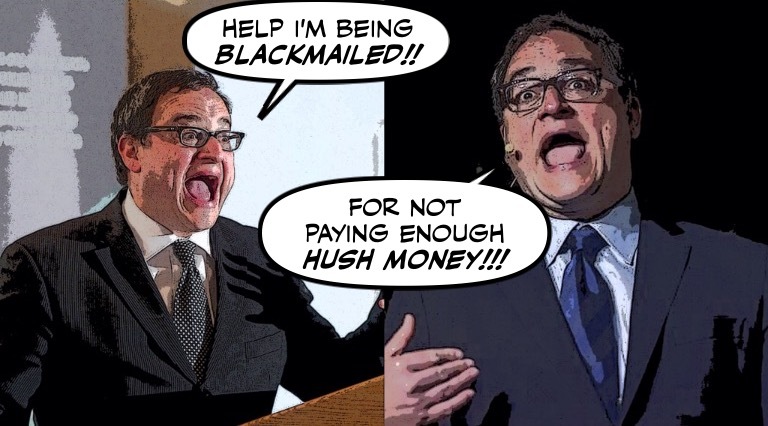 Breaking: Now Ezra Levant Claims He's Being Blackmailed!! Golly, you might think that the ghastly bigot Ezra Levant could not have a worse day. But if you did you'd be wrong. 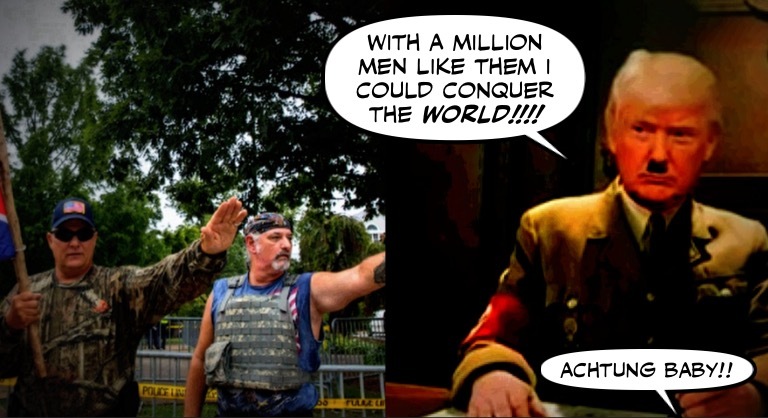 For not only has his filthy Rebel been roundly condemned for promoting white supremacy at that neo-Nazi rally in Charlottesville. 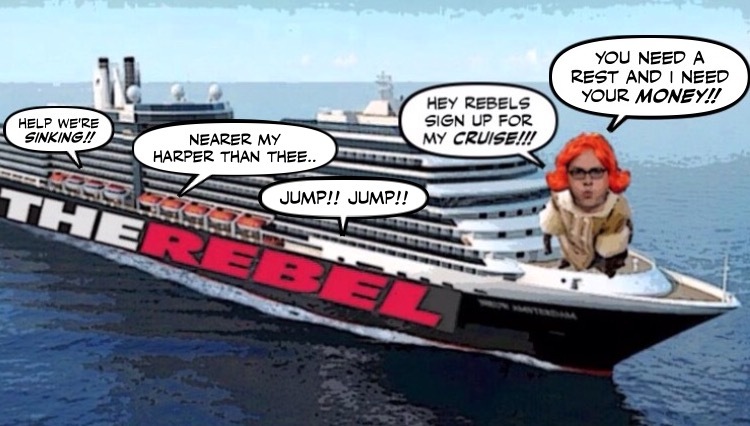 Not only has a shipping line cancelled his Rebel cruise. Not only have some of his scurvy crew started jumping off his sinking Rebel. With this freak being the latest one. But now a former employee, a British right-winger named Caolan Robertson, is claiming Levant offered him "hush money." 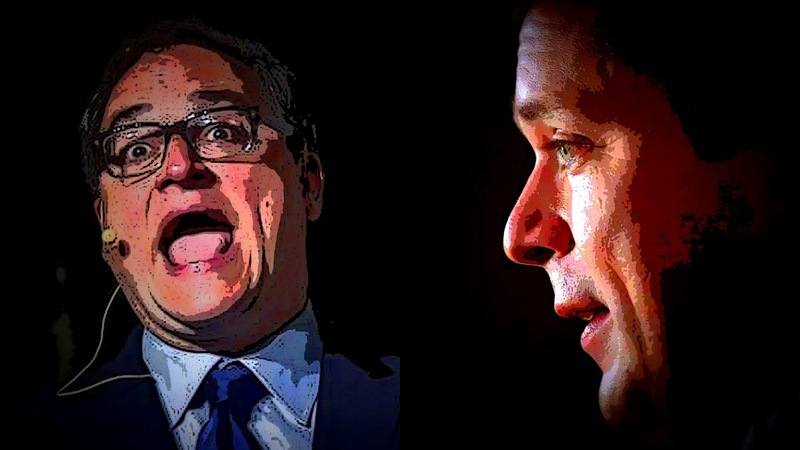 Earlier today I wrote a post demanding to know why Andrew Scheer was hesitating to condemn the white supremacist views of Ezra Levant's bigot Rebel. After spending so much time riding on that stinking and sinking boat. Well now it turns out he did say something about it in B.C. last night. And not only was it four days late, it couldn't be more pathetic. Why Are The Cons Still Riding On The Sinking Rebel? For weeks even as his ratty Rebel sank slowly beneath his feet, Ezra Levant desperately flogged tickets for a Caribbean cruise. No doubt because he really needed the money to pay for all his legal bills. Especially since Goldy's disgusting performance may turn out to be for The Rebel, what the iceberg was to the Titanic. For first some of the best known members of his scurvy crew, like Brian Lilley, John Robson, and Barbara Kay, jumped off the Rebel, and started swimming for their lives. Or what was left of their reputations. And now the self-styled "Rebel Commander" has been hit by another iceberg, or torpedo. Is Ezra Levant's Bigot Rebel Falling Apart? For years Ezra Levant has been peddling bigotry for fun and profit. And ever since the rise of Donald Trump, his ratty racist rag The Rebel has become more and more extreme. Not just reaching out to the freaks, nasty nerds and neo-nazis of Trump's so-called Alt-Right army. But actually jumping into bed with them. And even worse, if that's possible, trying to imitate them. 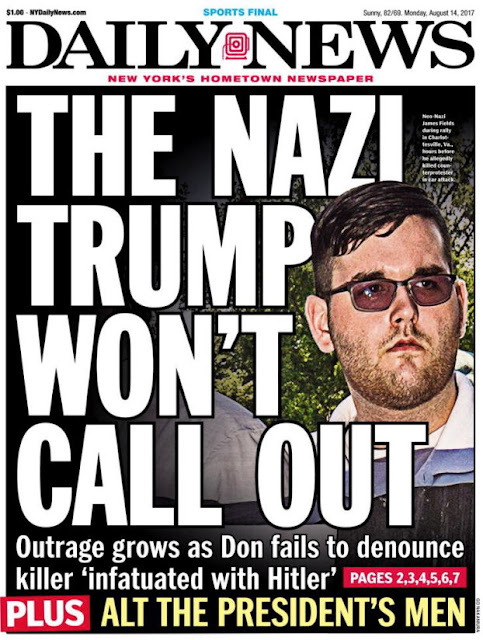 Now Can We Call Trump's Nazis Suckers? 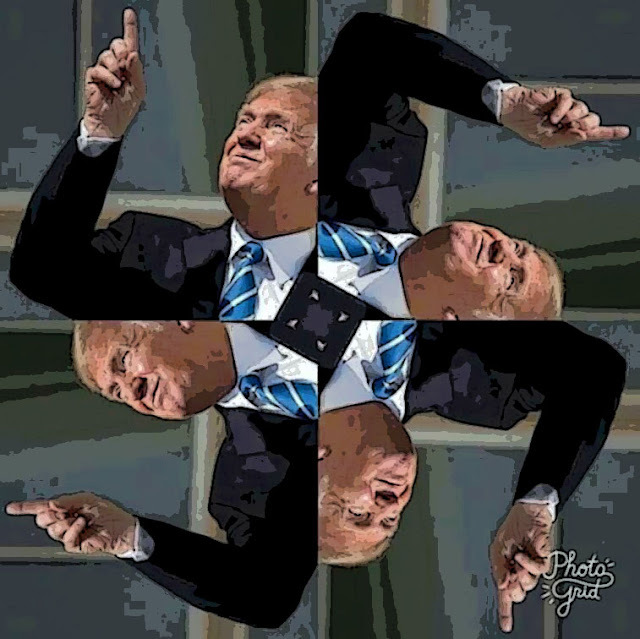 As I said in my last post, Donald Trump has finally been exposed for all to see as a Neo-Nazi supporter. And he's still refusing to denounce this cowardly killer. But then as I also pointed out bigotry runs in the family. 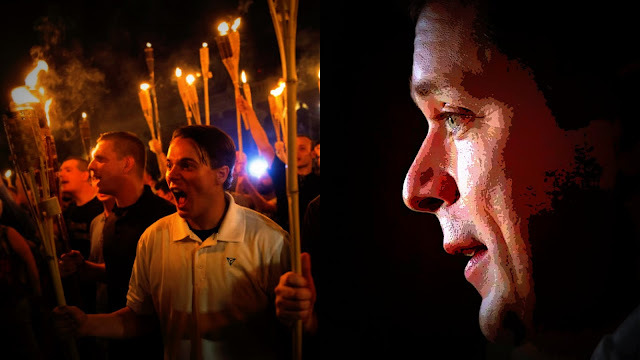 So the next time his citronella Nazis call us cucks. Somebody should call them suckers. The Dangerous Cowardice of the Nazi Supporter Donald Trump. I can only imagine how Donald Trump must be feeling after his depraved and disastrous reaction to that deadly Nazi party in Charlottesville. But I wouldn't be surprised if he's ready to go nuclear, for he must be that desperate. Democrats and Republicans are attacking him for failing to call a white supremacist a white supremacist, or a terrorist a terrorist. And to make matters worse, his own darling Ivanka is making him look bad. Along with the religious fanatics they have always been Donald Trump's most loyal supporters. The ones who call themselves alt-rightists or white nationalists, but I call white supremacists and Neo-Nazis. Since their Gropenfuhrer was elected President they have become even more brazen, and don't even bother to wear masks or white hoods anymore. So this weekend they held a "Unite the Right" tiki torch party, and of course it ended badly. 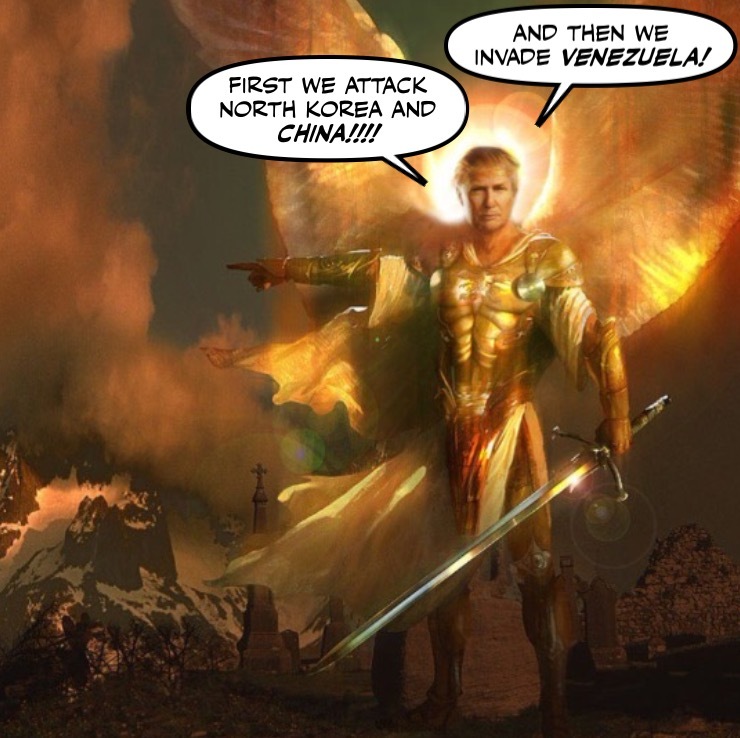 Ever since Donald Trump went on the war path and started exchanging threats with North Korea, he seems like a new man. And not in a good sense either. 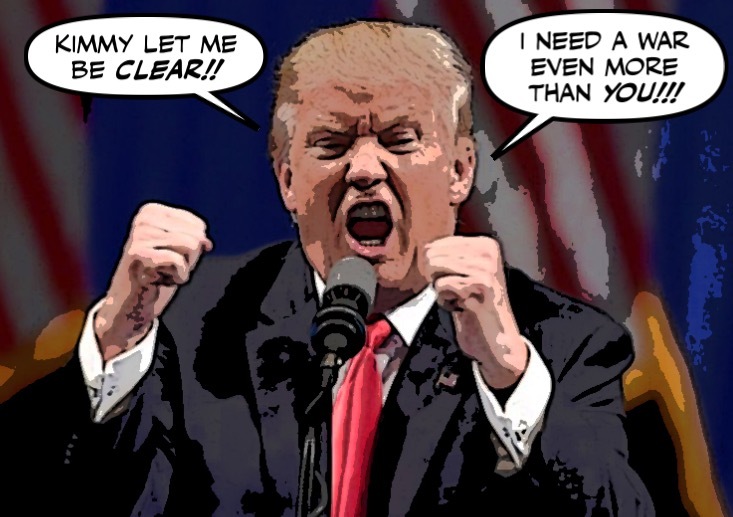 For Trump has always seen himself as a Great Warrior Leader, and the idea of distracting Americans from all his scandals and his inability to govern with scary thoughts of nuclear war, has him in a fevered frenzy. For what else can explain why he can't stop threatening the North Koreans, and ratcheting up the crisis instead of trying to defuse it? This is what every American with an IQ greater than a fruit fly should have seen coming. This is why the grubby clown Donald Trump should never have been elected president. He didn't know what he was doing. He was all hot air. And of course, he had no moral compass. So now he's cheerleading for nuclear war. Has Donald Trump Made War Unavoidable? Well now we know that Donald Trump's verbal blast at North Korea was totally improvised. President Trump’s aides knew he planned to deliver a tough message to North Korea on Tuesday, but they did not expect a threat that rivaled the apocalyptic taunts often used by his target, Kim Jong-un. And now we know how the North Koreans are reacting. North Korea has announced a detailed plan to launch a salvo of ballistic missiles toward the U.S. Pacific territory of Guam, a major military hub and home to U.S. bombers. It seems that this warning may have come at least six months too late. 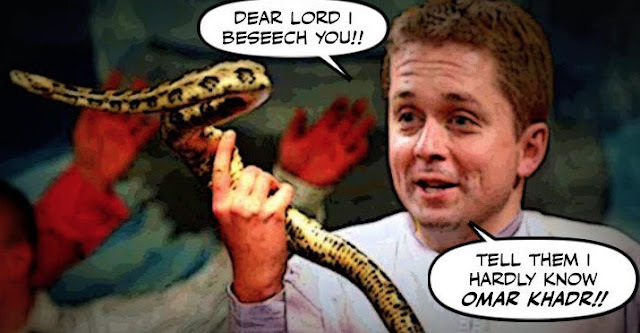 Ever since his grotesque campaign to attack Justin Trudeau by trash talking Canada blew up in his face, Andrew Scheer has been desperately trying to repair his image. 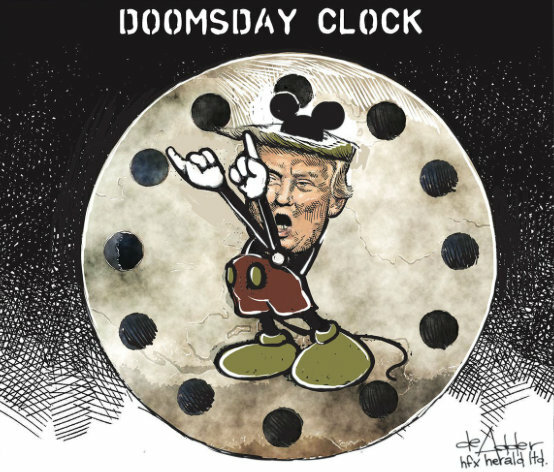 Gone with the wind, or dropped like a hot potato, is all that treasonous talk that could have stirred up the maniac Donald Trump, and cost Canada thousands and thousands of NAFTA jobs. Now Scheer is using his family as props to try to make himself look like a nice guy. You know, Mr Normal or Mr Boring. The kind of nice guy Canadians could trust to invite into their kitchens, unlike the Con monster Stephen Harper. But if they did, they would be making a terrible mistake. And yesterday he did his best to turn that into a self fulfilling prophesy. Who Would Be Worse Donald Trump or Mike Pence? He can often be seen looking on at Donald Trump's grotesque travelling circus with a strange smile on his face. When asked to say something about his boss, Mike Pence sounds as loyal as a butler, or as giddy as a college cheerleader. For it seems that should something horrible happen to Trump, like a heart attack, or a stroke, or a fatal case of impeachitis. 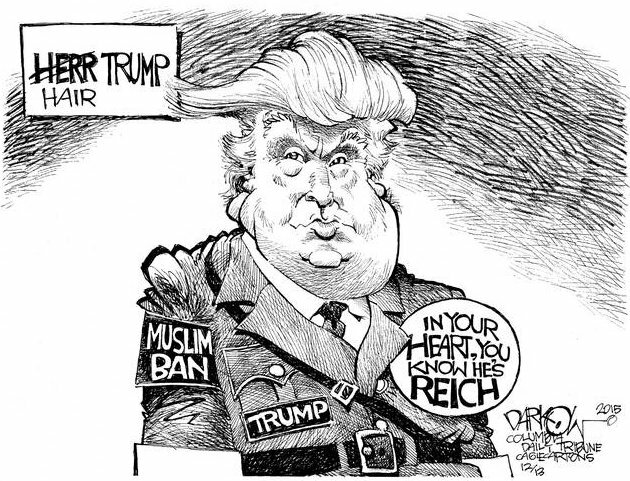 For a long time I hesitated to call Donald Trump a fascist. I thought he was just a bloated clown, and I didn't want to devalue the word. But not any longer. Not after the way he is going after transgendered soldiers, or the way he is threatening the media. Or the way that ugly bigot would portray himself as some kind of Christian warrior. Donald Trump is relaxing at his favourite golf course in Bedminster, New Jersey. The place where Ivanka was married, the place where he wants to be buried. 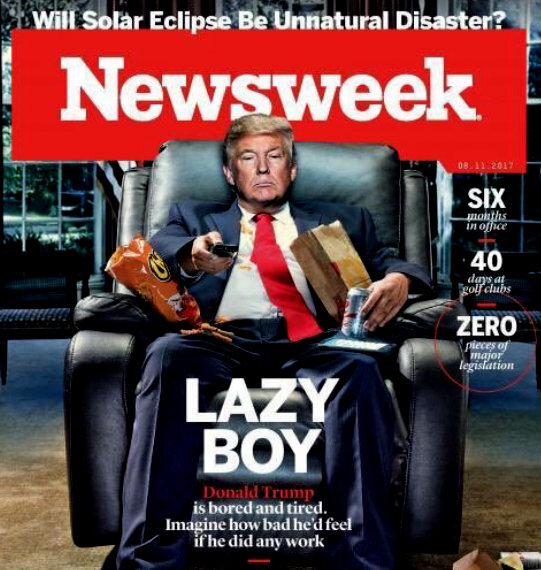 Still claiming he's not president Lazy Boy. Still insisting it's NOT a vacation. And for the first time in a long time, showing Jeff Sessions, his beleaguered Attorney General, a whole lot of love. 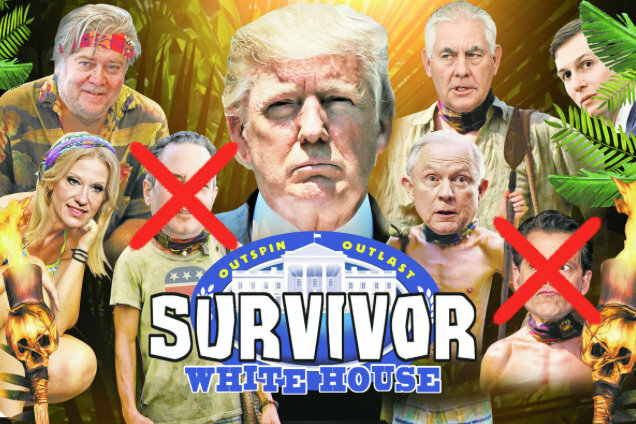 It's a brutal cover picture, and I'm sure Donald Trump must hate it. It's a narcissist's nightmare. Trump must be screaming into every golden mirror in the White House, or rolling on the floor and biting the carpet in the Oval Office. 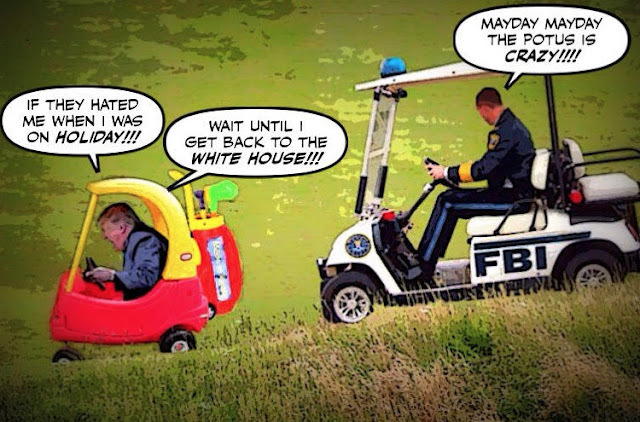 I realize he's got almost nothing accomplished in the six months he's been in office, and that his White House is a mad house, and that he hates his new job. But Lazy Boy does do more than just sit in chair and watch Fox News all day. It wasn't long ago that I told you that Andrew Scheer and his grubby Cons had dropped the Omar Khadr story like a hot potato. After spending days trashing our country in the United States for crass political purposes. He is the man Donald Trump fears the most, the man who keeps him awake at night. 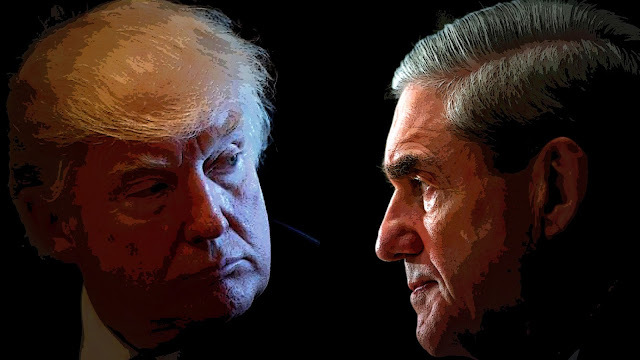 Robert Mueller, the man investigating the Trump mob. The man who could nail his family, bounce him out of power, and make him look like the biggest loser EVER. 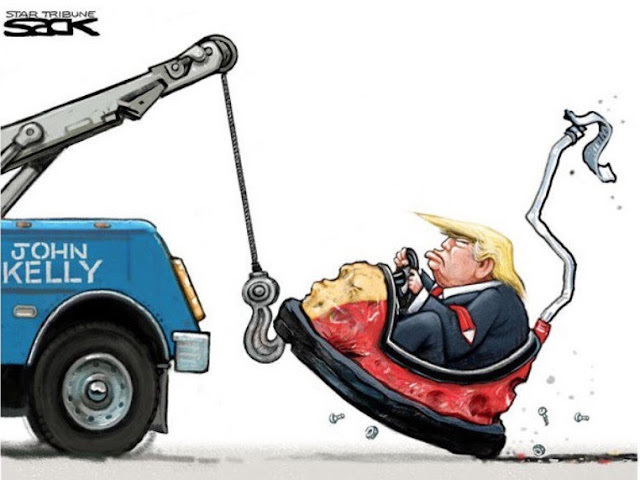 And yesterday Trump's nightmare became even more real. 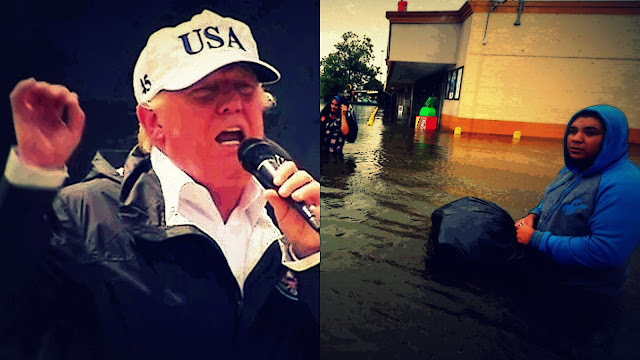 As you know, the other day Donald Trump was quoted as calling the White House a "real dump." But now that he's at General Kelly's Tough Love School he's denying it. And to prove how much he loves the place he's going to extraordinary lengths. Donald Trump has been at General John Kelly's School for Bullies and Blowhards for two days now, and it does seem to be restraining his worst instincts. He hasn't had a bout of Twitter diarrhea for almost twenty-four hours, although the strain is showing. And he still managed to send shockwaves through Washington with a quote, in of all places Sports Illustrated magazine. 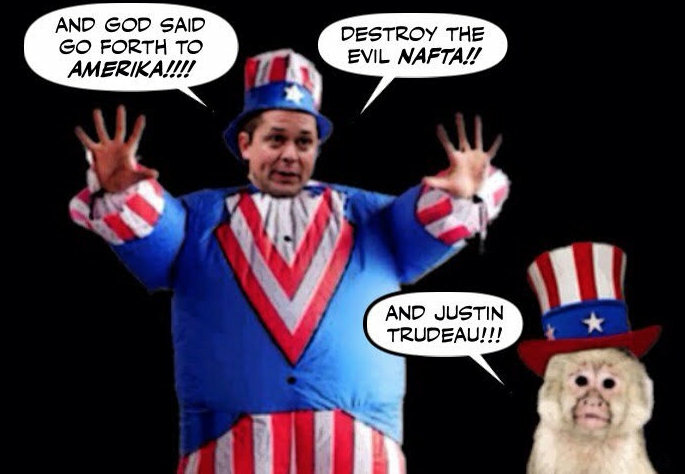 You might think that the Cons would know better to keep trashing our country and our government in the United States. Especially after polls showed that their treasonous behaviour wasn't making them any more popular in Canada. But sadly that's not the case. For first there was Peter Kent, then there was Michelle Rempel. And now there's Postmedia's ghastly little Con monkey Jen Gerson. 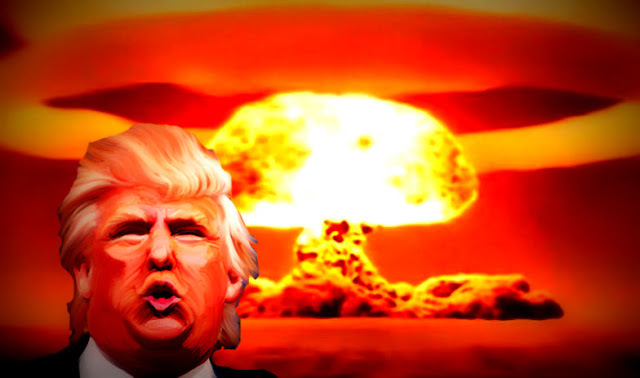 Donald Trump: Will Chaos Lead to War? 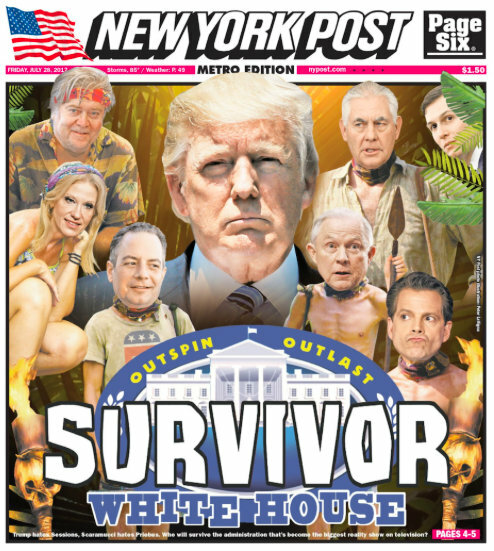 And it's a pro-Trump paper. So you know the situation must be getting desperate.